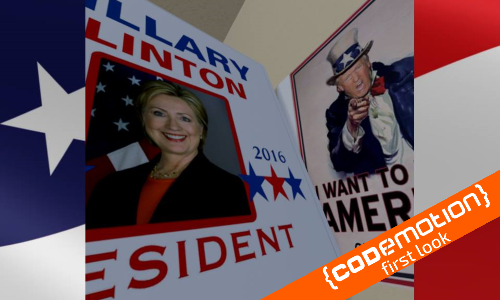 Freedom Simulator is the fantapolitic VR game where you play as Donald Trump in the most unconventional and politically incorrect elections ever! Will you become the president who Makes America Great Again? 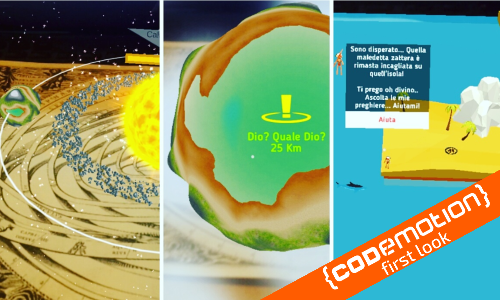 Freedom Simulator is the winner of the Corriere della Sera hackathon. It was developed in just a day, for HTC Vive, by AnotheReality team (Christian Castelli, Sonia Casamento, Alessandro Osima) and Marco Alfieri. 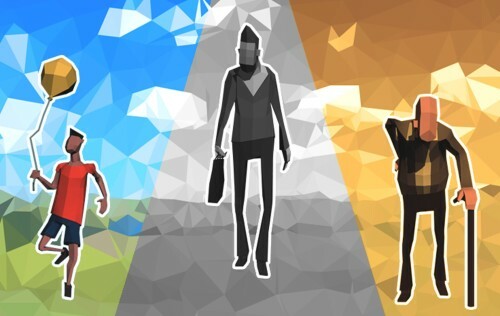 The Way of Life makes the player relive the same life’s experiences from the point of view of three characters of different ages: an adult, an old man and a child. With Knotmania we would like to explore an alien life form: the “Strings”, living entities in a structure of endless rooms. Strings energy runs the structure and to continue the journey one needs to unravel them thus cutting off the energy. The core mechanic centers around a unique gameplay with an inventive approach to puzzle gaming, where the puzzle itself is a living creature. Each level begins with a twisted knot to tackle – it may be a single String or multiple Strings – and it sleeps awaiting your first touch. At the first gesture made, the strings wake up and begin to twist, embrace, and explore moving in slow graceful movements in zero gravity. They oppose change in order to remain twisted together. Gridd: Retroenhanced is a fast paced neon arcade shooter with lasers, cyber-monsters, lightnings, explosions and lots of good synthwave vibes. 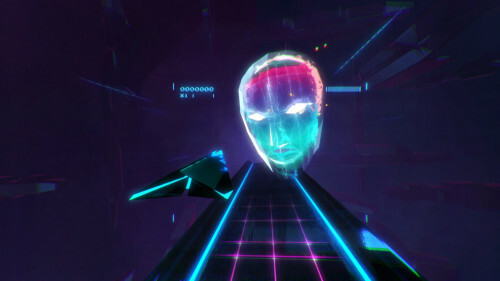 As an anonimous hacker attacking a huge digital system called Gridd, the player will rush into the Cyberspace floating on a procedurally generated track. While facing deathly laser traps and alien-like anti viruses, our hacker should destroy as much obstacles as possible and survive to all the attacks of the mighty system’s AI. 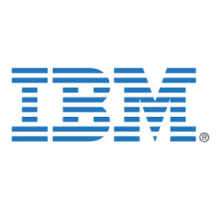 Only the most skilled ones will make it to the Mainframe and dominate the leaderboard! Control BeardedBear, a cyborg bear with an awesome beard, as you jump and shoot your way through hordes of time-travelling aliens that want to conquer humanity from past to future, using temporary randomly generated weapons made on the fly, like pistols that shoot arrows, shotguns that shoot fire, miniguns that shoot other miniguns, and complete the mix with an original exp system that takes the experience left behind by you to power up the enemies! Beardedbear focus all on dynamics and randomization in every level, making the game original and fresh with every run and every level you play. 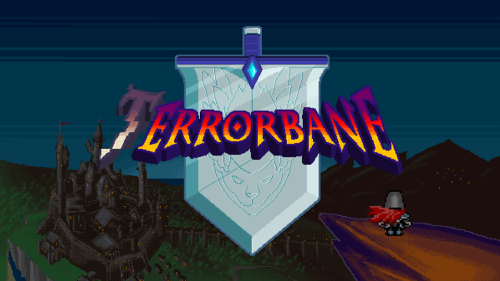 Presented as a classic JRPG inspired by the 16bit era, Terrorbane is a meta-game telling the story of an arrogant videogame developer at his first project, anxious to have someone play his game. The player will be challenged to face a great variety of bugs and glitches while enduring sloppy storyline and broken gameplay. The developer will be a constant presence, guiding and bothering the player throughout the game, creating fun and unpredictable situations. The player will record them in his personal bug list, to help the Dev in his “developing” process and try to collect them all. The game developer will often tire of the project he is making the player test and revolutionize the game from scratch, making multiple playthroughs a core feature of the game. 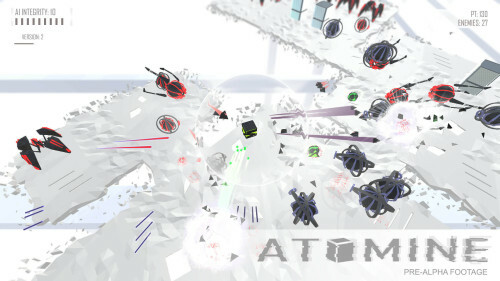 Atomine is a twin stick procedural shooter that leaves complete freedom to players to “program” their weapons. The world of Atomine is a virtual world, a dense network Server, Proxy and DBs layered into the Deep Web controlled by a single terminal node, the Mainframe. Atomine is an AI (Artificial Inteligence) who needs to get stronger in order to reach and eventually infect and compile itself into the Mainframe. 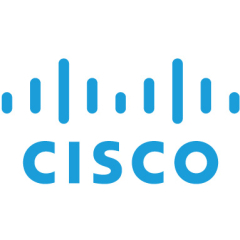 Becoming the only instance into the Mainframe guarantees access to infinite power. Atomine is an AI that manifests itself as a cube, controlled by the player, with the ability to absorb bits from other programs such as viruses, antivirus and other AI, to be able to recompile itself and increase the version, making itself more solid with a powerful structure. Cyclus is a minimal arcade game for iOS and Android inspired by old arcade games such as Arkanoid, Space Invaders. 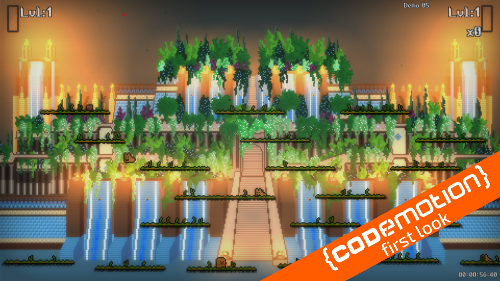 The game puts you to the test with 240 challenging levels. The main goal is to shoot all the semicircles in each level with the cursor in the centre of the screen and in doing so you must avoid obstacles such as triangles and squares, when they appear. The graphics and music are not simply ornamental. We deliberately chose the minimal black&white theme to match the soothing melody in the background. The music running in the background is perfectly integrated with musical notes played every time you hit a semicircle, making this game both a visual and audio gaming experience. 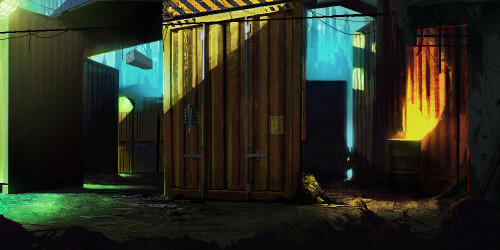 Luna City – Codename 39 is a graphic adventure game set in Mutant Chronicles universe. Story is the main feature; the player solves puzzles in order to find evidences and go on unwrapping the story. There is a large part of the game consisting in 2D classic graphic adventure system. Interactive motion comics are used to tell the evolving story. This is done to emphasize all the action scenes, in order to maintain hype and add tension to the game. 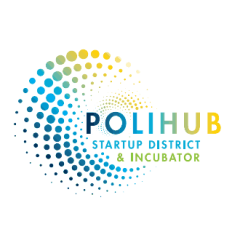 The project consists of a divine simulator based entirely in mobile augmented reality (in turn based on a single marker). The user in the early stages of the game is introduced to his role with some very simple missions, where just looking at different objects can help (or not) the duty person in need of help. At the moment everything is structured on a planet of a solar system in a galaxy (all these steps are already implemented). In addition to the missions it is possible to administer a village (community of people) in order to retrieve “divine power” and resources, necessary for the rest of the game (various upgrade) and to interact with the material world. Blitz is an online multiplayer game in which two players compete in challenges 1 vs. 1. The users will have to complete 3 different minigames, choosen randomly by the server, each belonging to a category including: memory skills, ability, responsiveness and calculation. 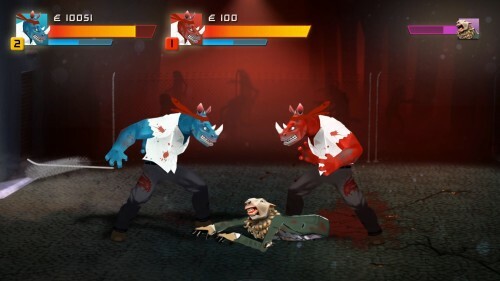 The player will feel in close competition with his opponent, which can either be a person that lives on the other side of the world or one of his friends provided with the game. Also, play the minigames day by day has the good effect of training the brain with fun by social interactions! The challenges in Blitz: Minigames are very quick to play because each minigame can be played in max 60 seconds and, even if one player doesn’t have enough freetime after the matchmaking, with the asynchronous feature the player has got 48 hours to complete it. At the beginning only 5 minigames are available to the player but after earning exp points during the challenges new minigames will be unlocked to reach the total amount of 50 minigames. 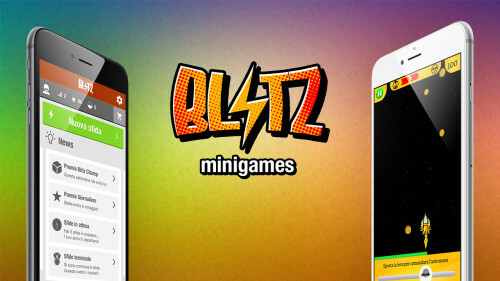 Blitz: Minigames will be released on iOS and Android platforms on Q1 2017 in a free to play mode. 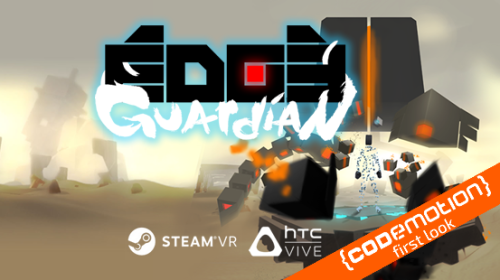 Edge Guardian is a surreal-futuristic action beat-em-up for the HTC Vive. You have been summoned to defend the fringe of reality itself from a horde of reality-eating void cubes. Find yourself immersed in many different eerie landscapes, punching your way through wave after wave of enemies. 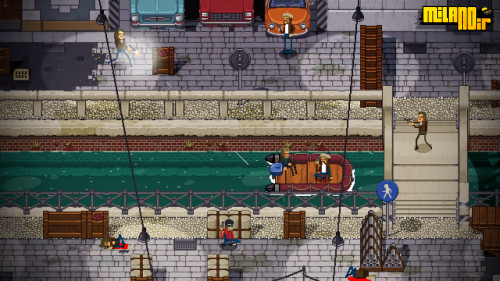 Milanoir is an action game inspired by Italian crime movies of the ’70s. The player takes the role of a convict suddenly released from prison, looking for the man who framed him. Hunting the truth and running from someone who wants you dead in the violent city of Milan, Piero has to survive using all your toughness to shoot, choke and sneak through the enemies and engage them in breathtaking car chases. 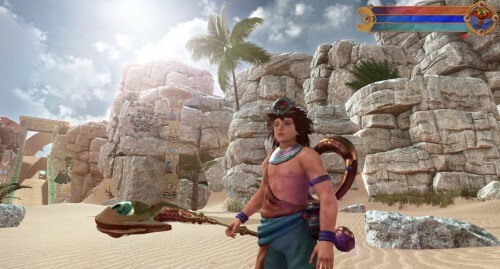 “Eternal Desert” is a third-person adventure game with platform and shooter elements. The game is set in ancient Egypt with numerous references to the myth of Horus and Seth. You will be living a surreal adventure under the sun of Egyptian desert and along the legendary Nile River. 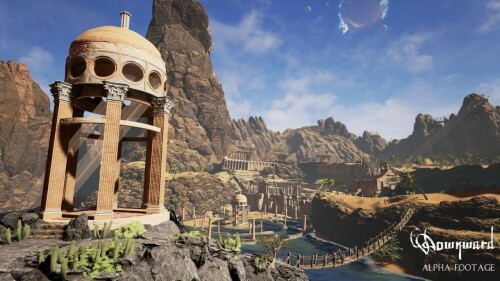 Eternal Desert combines the precision of a first person shooter with the connection to the character you get from a third person game. You can twist and turn with the target always on your sight, the game was designed around mouse and keyboard controls. Your weapon the legendary “Eye of Ra” behaves as an independent living entity and this adventure is your most reliable friend! Be ready to live a dramatic and cinematic adventure! 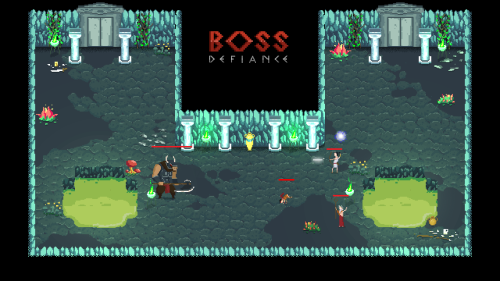 Boss Defiance is an arcade­action competitive and asymmetric game, with semi­procedural level creation. 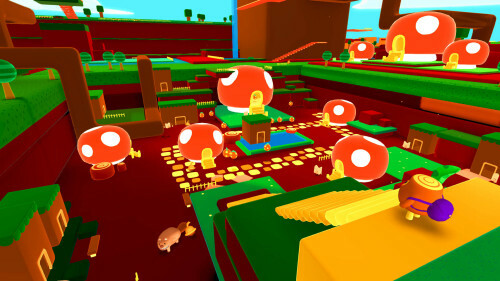 One player play as the powerful Boss and must fight his way room by room, facing the other 3 players in a battle arena. The Boss will have to survive until the end of the dungeon to succeed. The game features a single player mode, with dungeon­-crawling characteristics. The team is passionately producing a game that gives you a dose of nostalgia with good old classic arcade fighting but with tons of creative elaboration, strong art direction with beautifully hand drawn character puppets and textures, wacky bosses, unique level design, a memorable world setting to explore and underneath all the brutality and wackiness; a profound story to tell. The Soundtrack of the game also deserves a special mention as members of the team are avid and experienced musicians, composers and sound engineers. Expect a fabulously remixed album of the soundtrack release with the game!! 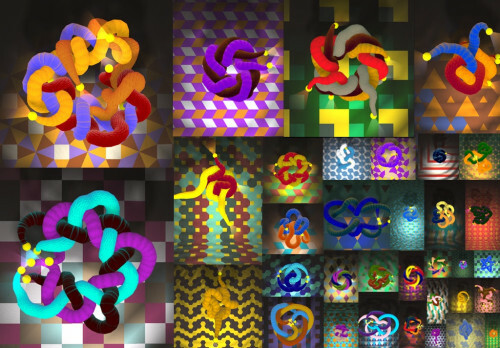 “SIHEYU4N” is a cooperative action-puzzle game for 1-4 players of all ages and types, conceived as a local multiplayer variation on classic falling-block mechanics. 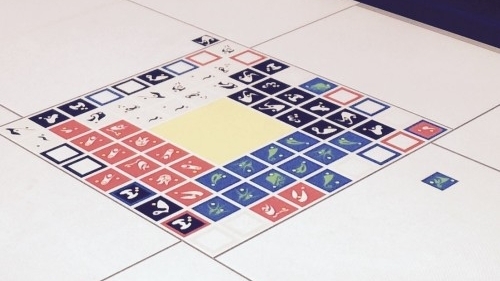 Inspired by the architectural tradition of “siheyuan” (historical courtyards of Beijing, China), goal of the game is to place the blocks in the correspondent colored slots of the central grid but – as each player controls one area of the game and each area spawns blocks of one color – players have to pass and receive blocks to/from the other ones, talking, sharing a strategy and cooperating together in order to complete the full grid, in a short, abstract, playful reproduction of traditional Chinese sociality. Developed by We Are Müesli in collaboration with Aran Koning for an upcoming release on PC, Mac, iOS and Android, “SIHEYU4N” has been exhibited in the past few months at Beijing Design Week 2015, Now Play This festival in London and IndieCade Showcase @ E3 2016 in LA. Downward is a first-person parkour adventure set in the Medieval ruins of a post-Apocalyptic world. Centuries after the desolation unleashed by the arrival of the Three Planets in the Sky, a lone shadow wanders the land in search of answers among the majestic and deadly ruins of the past, resolute to survive and change the Fate of his world. Only through steel resolve and the mastery of the great powers of the Three Planets can the Wanderer alter the course of Fate… or decide not to. 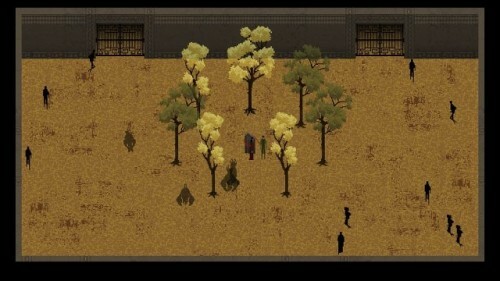 Red Rope is a terrifying, enigmatic adventure for 1 or 2 players who want to test their bond. Explore the Labyrinth, get acquainted with its bizarre inhabitants, its secrets and its rules. Face enemies, traps, puzzles, and ferocious bosses. Only the best will find the way out and become a character living forever in Red Rope.